The American Express Essential Credit Card currently has an Informr score of 10 out of 10. This score is based on our evaluation of 9 sources including reviews from users and the web's most trusted critics. 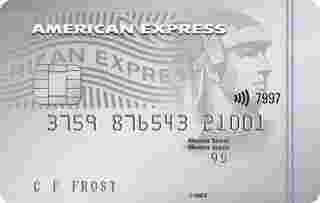 American Express Essential Credit Card is typically available to those with good credit scores (650 or greater). The card is perfect for those who are looking to reduce their debt or the amount of interest they pay every month. The included American Express Invites is a perk that is often overlooked, but cardholders will love it. The American Express Essential Credit Card is a great place to start if you’re looking for a credit card with a low interest rate. With this credit card, you’ll pay just 8.99% on any purchases that aren’t paid off after the 21 days grace period. You max your savings with a 8.99% interest rate, the lowest permanent no-fee rate on the market that doesn't depend on your credit score. You either qualify or you don't - no bait and switch with low teaser rates here. That means you can start paying down your balance faster. When it comes to the best balance transfer credit cards, you could argue that the American Express Essential Credit Card offers the most benefits. The 1.99% promotional rate for the first six months is higher the rest of the cards, but it’s still incredibly low. Oh, and the 8.99% interest rate after the promotional rate ends is currently the lowest fixed rate in Canada. If you’re looking for a low-interest credit card to round out your financial products, the American Express Essential Credit Card is a great option. While this card may be no-frills, it still offers some insurance coverage in the form of travel accident insurance, purchase assurance, and extended warranty. For those who want to make the most out of their everyday shopping, the lack of rewards or cash back make the American Express Essential credit card an unattractive choice as a primary card. On the other hand, it can work well as a secondary card. A low promotional APR rate of 1.99% is followed by a low regular rate of 8.99%, giving cardholders a break from the high rates that are keeping them from resolving their debts. Alongside some valuable features from American Express, like extended warranties and other purchase assurances, a lack of any annual fee helps bolster the benefits for this card. If you’re looking for American Express benefits, this is a good entry level card and a strong contender overall among the best low interest credit cards in Canada. With no annual fee and a low interest rate, this makes a good companion card if you already have a cash back or travel rewards credit card. A solid card to add to your wallet if you tend to carry a balance and your goal is to pay off debt within a short period of time. However, it’s absolutely essential – no pun on the name intended – to keep up with all your payments, or the extra charges can have you spiraling into further debt.